The internet is a relentless, buzzing hive of batshit fan theories about every long-running pop-culture mythos imaginable; it’s almost more rare these days for shows to somehow buck that trend, as The Leftovers and Twin Peaks seem determined to. But in truth, fans have pored over arcana and postulated wild conclusions as long as such things were possible. Rather than making elaborately animated websites and viral Medium posts about it, though, they just told each other these theories at comic book shops and passed them between each other in the charmingly analog fan press that existed before Reddit. Take, for example, this wonderfully insane fan theory about the true nature of Luke Skywalker and the entire Star Wars universe pulled from a December 1980 issue of Fantastic Films. This was just seven months after the release of The Empire Strikes Back and still several years before the release of Return Of The Jedi. 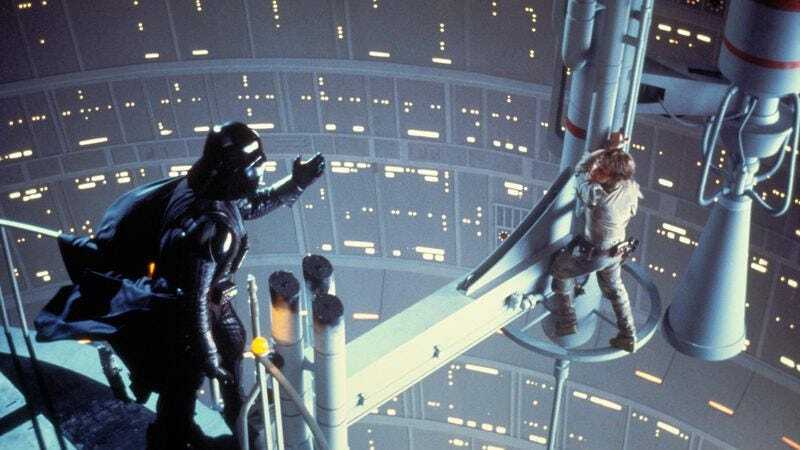 Still reeling from the reveal that Darth Vader is Luke Skywalker’s father, the essay speculates a little further about what other secrets the family tree may hide. This would go on to be a big part of all ensuing prequels and sequels, so the author is on the right track! From there, though, it veers wildly off course, speculating that 1) Boba Fett is Luke’s actual father, and is also a woman named Roberta, 2) There are many clones of Luke Skywalker, 3) Obi-Wan Kenobi is actually a droid called OB-1, 4) “Jedi” actually stands for Jesus Eugenics Development Institute, because, um, all Jedi are Jesus clones, and, finally, 5) Russian oligarchs are funding a coup so Orrin Hatch will be our next president. The best fan theories are insane but weirdly believable. While this one is not believable in the slightest, it has, like a fine wine or the music of Steely Dan, only gotten better with age.